If Texas were an independent country, it would be the 10th largest economy in the world. With a population of 28.3 million and a civilian workforce of just over 13 million, Texas remains the gold standard for economic growth and opportunity around the nation. According to the Texas Economic Corporation, The Lone Star State claimed the top spot on CNBC’s annual Top States for Business ranking in 2018 for a record fourth time. Texas is also ranked number 1 in economy and infrastructure. Texas is also the nation’s top-ranked exporter, a spot the state has held for 16-consecutive years, exporting $264 billion in goods in 2017 alone. Texas’s competitive position is due to more than just size. The state’s political environment has ensured an advantageous tax climate making Texas attractive for businesses and individuals alike. Currently, Texas has no corporate or personal income taxes, as well as sales tax exemptions for manufacturing machinery and equipment, and R&D-related materials, software, and equipment. The Lone Star state’s skilled, educated, and diverse workforce is the second largest in the nation. Texas has 37 public universities and 50 community college districts all developing a steady supply of employees for the state’s 2.3 million businesses. The geographic size of Texas and the low cost of living allow for diverse lifestyles to flourish throughout the state. From the hip urban centers of Austin, Dallas, and San Antonio, to the old-fashioned cowboy culture in places like Bandera, Lubbock, and Mesquite, the state’s live and let live attitude make Texas a great place to live, work and play. 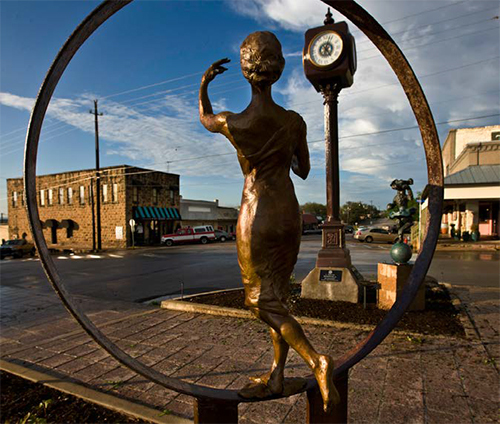 Since the early 1960s, the Cameron Industrial Foundation (CIF) has been at the forefront of economic development in the small Texas town of Cameron and the entirety of Milam County. Originally formed to raise funds to purchase land for the city’s industrial park, the CIF now functions as the marketing arm, recruiting businesses of all types to this small but strategically located community. 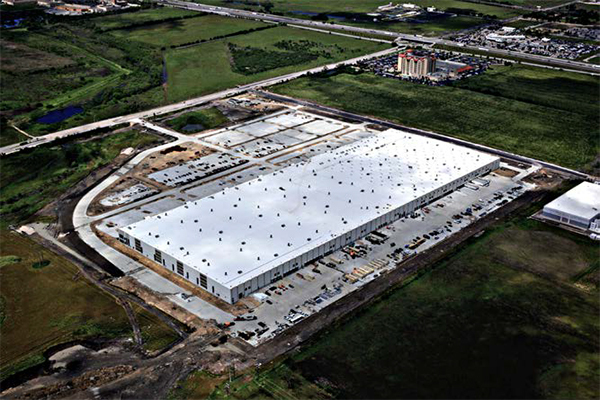 Cameron is a town of 5,500 situated approximately two-and-a-half hours from large Texas cities like Dallas/Fort Worth, San Antonio, Houston, and Austin, and is a perfect location for any business with customers in major markets. “We feel like our geography is our competitive advantage,” says CIF Executive Director Ginger Watkins. One of the companies based in Cameron is EBCO General Contractors, a major builder with projects in hospitality, education and healthcare all over the nation. “They have leveraged this central location to grow their business here, statewide and beyond the borders of Texas,” says Watkins. Deeply rooted in agriculture-Cameron is home to Livestock Nutrition Center – a custom feed blending company; 44 Farms – Texas’s largest producer of Black Angus beef; and, Ideal Poultry, the largest supplier of backyard poultry in the nation. Manufacturing thrives in Cameron with Butler Weldments – a manufacturer of fabricated and machined metals; AIS –an institutional furniture manufacturing company; and, Charlotte Pipe & Foundry, a North Carolina-based company that expanded operations in Cameron. The Dallas-Fort Worth area is a fast-growing economy in a local market of 7.1 million residents. 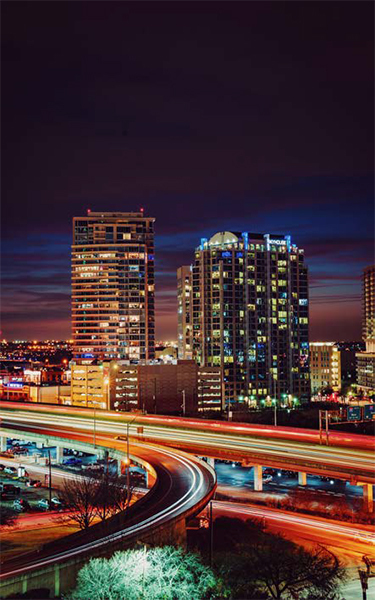 Whether you run a small business or major corporation, Dallas is globally connected and centrally located, making it the ideal location for your business. Dallas has the talent, facilities, and market access to help you succeed. Dallas businesses have access to an almost 3.4 million strong workforce, where 32% of regional workers have at least a college degree. There are over 850,000 professionals in management, finance, computing, architecture, engineering and the sciences and over 415,000 professionals in education and health services. A diverse economy offers many opportunities for dual profession families and assures a strong pool of talent for area businesses. With a cost of living at 96.1% of the national average and no personal income tax, Dallas offers a wonderful quality of life. In 2016, DISD had the 1st and 4th highest-rated public high schools in the nation, according to U.S. News and World Report. A growing transit system includes 62 rail stations with two more planned. Area colleges and universities enroll 342,000 students and Dallas has the largest arts district in the U.S. The Dallas area is home to 21 Fortune 500 companies and 300 corporate headquarters, each employing more than 1,000 globally. Of Forbes’ largest privately held companies, seven are located in the Dallas area. The City of Dallas’s Office of Economic Development actively partners with qualified projects looking to expand or relocate. Their goal is to provide a competitive incentive offer that matches each project’s needs and merit. For more information, please call 214-670-1685 or visit dallasecodev.org . The City of Dayton is located in Liberty County, 38 miles northeast of downtown Houston, 18 miles north of I-10. With easy access to the Houston metropolis, you can enjoy the amenities of the big city and then return home to a simpler lifestyle. Economically, the residents of Dayton are supported by employment in the metal fabrication industry, the chemical refining industry, the oil field services industry, numerous types of retail and the coiled metal tube and pipe industry. The city has taken a proactive position in business and created the Dayton Community Development Corporation to assist business development. This organization assists entrepreneurs in the start-up, relocation, and/or expansion of their business. Dayton’s competitive advantages are not only its location and access, but also the number of undeveloped tracts of land in the way of known future growth areas. 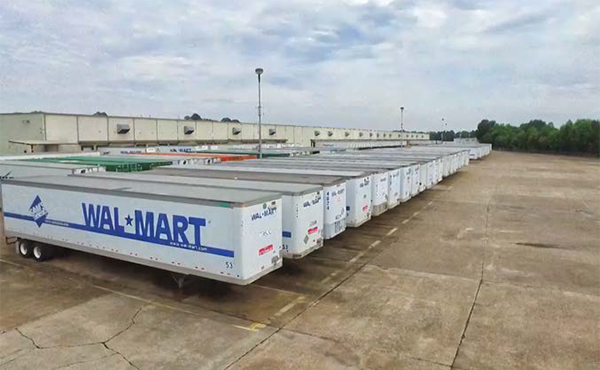 Gulf Inland Logistics Park presents a great potential return on investment. Consideration and identification of a site for a future business park, led by the city and the Development Corporation, has strong potential. 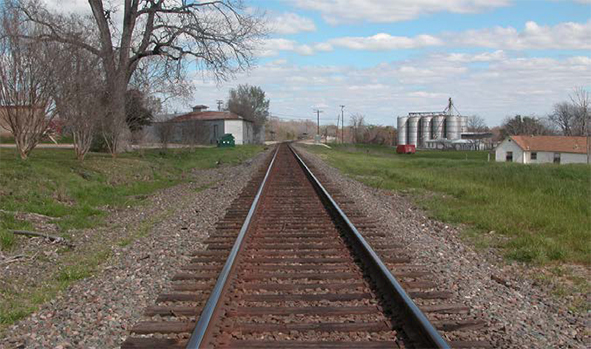 Dayton has a growing portfolio of industrial assets, particularly those in proximity to the BNSF Railway and Union Pacific Railroad. The majority of future industrial designations are clustered on rail-served property. Dayton looks to target business sector development through workforce and pipeline development and redevelop downtown. Their goal is to make Dayton the premiere arts, culture, and recreation destination in Liberty County. For more information, please call 936-257-0055 or visit daytontx.com . Gainesville isn’t just booming, it’s blooming! Come discover what you can grow in their favorable business climate. Their businesses are expanding. In the past 3 years they have invested more than $48,000,000 to do just that. “Gainesville’s location and incentives make it one of the most sought after locations for new development and expansion,” says Duraline executive, Luis Valle. Duraline recently doubled their capacity for high-density polyethylene pipe production for both natural gas and fiber optics. Orteq Energy Technologies, manufacturer of oil and gas equipment, has quadrupled their footprint in Gainesville adding over $20 million in capital investment. Trident Process Systems added 20 additional welding bays and broke ground on new offices. Texas Trailer completed their expansion last year and IFS Powder Coating will break ground on a $10 million expansion soon. There are three reasons for their success. Location on Interstate 35, the NAFTA highway that stretches from Laredo, Texas to Duluth, Minnesota, is a huge benefit. They are located where you are first in and last out of Texas at the Oklahoma border and just 60 miles north of DFW airport. Gateway Industrial Park, their third and newest industrial park, is located ½ mile west of I-35 and is shovel ready with city utilities. Burlington Northern Santa Fe Railroad has daily service and full switching yard providing direct access to all major markets. Workforce talent “We selected Gainesville and stay here because of the community and ethics of its people,” says Mike Briley of CBSales. 20% of their local workforce is in manufacturing. They have created a culture to grow their future talent through their Manufacturing Consortium, forging strong partnerships with their Cooke County ISD’s and North Central Texas College resulting in effective career and technical dual credit classes and community outreach. Quality of Life in this charming and historical city is unexpected. Families love the Frank Buck Zoo, train rides and playground at Leonard Park. The Farmers Market Park in their historic downtown with food trucks and entertainment stage plus a craft brewery, shopping and restaurants make downtown a top community gathering place. The outdoor recreation options are extraordinary in this part of North Texas. WinStar Casino and Resort is just across the river in Oklahoma. WinStar is the world’s largest casino and showcases the biggest names in music in their global event center. Bring your game to the WinStar 27-hole golf course, ideal for golfers of all skill levels. Marble Falls is located 45 minutes northwest of Austin and is in one of the country’s most booming economic areas. The town of roughly 7,100 people has benefited greatly from the growth of the Texas capital without losing its character in the process. In the early 1990s, the city established the Marble Falls Economic Development Corporation (MFEDC) to focus on bringing businesses and jobs to the area, mostly in the light manufacturing sector. However, recently the MFEDC has transitioned to quality of life issues, such as revitalizing downtown, boosting opportunities for small-business entrepreneurs and outdoor recreation on the Colorado River. Palestine (pronounced pal-es-teen) is a naturally beautiful city in the Piney Woods of Northeast Texas mid-way between Dallas and Houston. Its location, at the intersection of five major highways leading to those metroplexes and Austin, provides excellent accessibility. Lake Palestine, which is located nearby, is among the largest in Texas and offers both recreation and an infinite supply of water. Founded in 1846, Palestine is the seat of Anderson County. 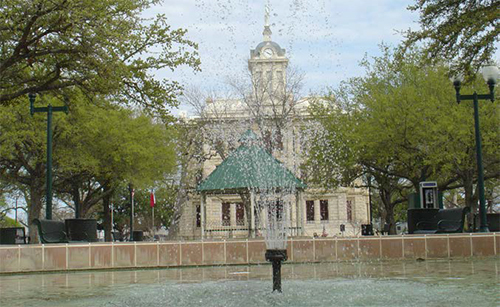 Its spectacular courthouse oversees the three areas of the city’s core: Courthouse Square, the Downtown District, and Old Town. This 44-block area is currently the focus of a long-range restoration program – spearheaded by the Palestine Economic Development Corporation. Small businesses are the lifeblood of the downtown region, offering a variety of dining, specialty products, and cultural fare. Virtually all of the buildings are historic and contribute to the unique charm and distinctive architectural style of Palestine. Surrounding the downtown are businesses of every type – industrial, distribution, retail, medical, hospitality and dining. Most of their national retailers and hospitality venues are located around Loop 256 which circles the city. Restaurants, hotels, fast-food outlets and major retailers offer an abundance of dining, accommodations and shopping for residents and travelers alike. Highway 79 is the main industrial corridor – with oil and gas support industries, distribution centers and a variety of general industry. Visit Palestine Economic Development Corporation at palestinetexas.net. Palestine is a delightful place to explore, to invest in, and to call home. Throughout history, Port Arthur Economic Development Corporation (PAEDC) has been privileged in being able to attract a competent Board needed to pragmatically guide and direct the Corporation. John C. Maxwell, entrepreneur and author of various books on the topic of leadership, stated, “A leader is one who knows the way, goes the way and shows the way.” These talents are indeed reflected in the career and volunteer service experiences of their existing and past PAEDC Board of Directors. The Port Arthur Economic Development Corporation Board of Directors includes a diverse group of volunteers who work on behalf of the residents of their community to promote economic growth and quality of life in their community. The Board encompasses business owners, business managers, educators, and residents, whose common goal is to boost and enable positive economic growth and a better quality of life for all citizens of the community. Their CEO works closely with the Board to maintain a vigorous line of communication with businesses. Port Arthur possesses a distinct history that includes the petrochemical industry, oil and gas companies, pipe fabrication, steel making, warehousing, distribution, manufacturing, and government services. The community has a diversified and talented workforce, and this makes them an attractive location for potential commercial businesses. When you connect these factors with the City Planning and Zoning Board’s willingness to expedite land development applications, an exceptional transportation network, and a utility infrastructure that is always being improved; it gives the Board an upper hand when they are in the marketplace competing for new business. The EDC Board of Directors benefits from all of these positive attributes, as it focuses on selling new businesses on localizing to Port Arthur. Over the past several years, many companies have decided to build in this community and call Port Arthur their home. B & B Ice & Water, SETPOINT, Lockwood International, Ohmstede, Team Fabricators, Tyco Wilfire, MPW Industrial Water Services, JZ Russell Industries, SPRINT, Bio Medical Waste, Dashiell Dacon, and many other businesses operate in this community. The members of the Economic Development Board of Directors and staff of professionals work together to promote the significant qualities that make Port Arthur a great place to work, live and play as well as BUILD IT, SHIP IT, RAIL IT. Amazon’s 850,000 square foot Fulfillment Center employs over 3,000 at full capacity. Greater opportunity, deep in the heart of the Texas Innovation Corridor. Mid-way between San Antonio and Austin, along two major transportation thoroughfares, San Marcos has unexpectedly developed an innovation ecosystem in the heart of what is quickly being known as the Texas Innovation Corridor. The innovation taking place in the region is greatly influenced by Texas State University – the state’s fifth largest university. Since 2012, Texas State has been designated as an Emerging Research Institution, currently doing cutting-edge research in materials science (through a new PhD program in Materials Science, Engineering & Commercialization), nanotechnology, life sciences, and computer science. According to U.S. Patent & Trade Office, and U.S. Census data, the Greater San Marcos Region has filed over eleven times the number of utility patents per capita than the entire state of Texas and nine times that of the U.S. This innovative spirit and educated talent pool have been noticed by brand-name companies like Amazon, Best Buy, H-E-B, as well as innovative startups like Urban Mining and VFT Technologies, along with many others who have found success in their region. If costs are important to you, know that San Marcos offers a cost of living eight percentage points below that of Austin’s. And if you believe that time is money, know that San Marcos is only at 77% congestion capacity on Interstate 35, while Austin is over capacity at 134%. There are very few places in the country that are still considered “hidden gems.” However, San Marcos appears to be on the brink of transformational growth and prosperity spurred by an ideal location, proximity to higher education institutions, a spirit of innovation and impressive cost saving factors. Companies and talent across the country should act on a recent ranking by Thrillist and relocate to San Marcos (before it becomes too popular)! Tomball, Texas is where the best of business, lifestyle, education and transportation converge. Those who experience the Tomball community instantly recognize its uniqueness. A strong history blends with innovation; a sense of community combines with a thriving business environment; and local partnerships have global impacts. From corner stores to Fortune 500 companies, Tomball is focused on business! 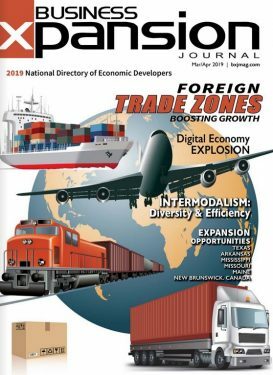 A skilled workforce, low property taxes, and a well-connected transportation system provide an ideal backdrop for your business to prosper. The Tomball Economic Development Corporation promotes job creation by encouraging attraction, expansion and retention of business by way of assisting with site selection; identifying incentives; connecting to workforce resources; and providing business and industry data. 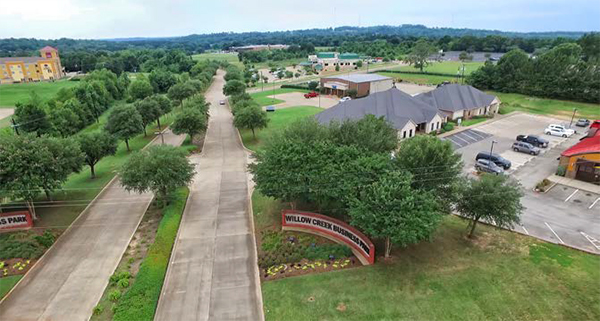 The Tomball Business & Technology Park, a project of the Tomball Economic Development Corporation, encompasses 99.5 acres of land within the City of Tomball. The Park is Master Planned and Deed Restricted with a Light Industrial zoning classification. The Park is fully served with all utilities and provides off-site detention. Its flexible lot sizes and competitive pricing combined with low property taxes and a skilled local labor force make the Park an attractive location for new and expanding businesses. There are +/- 58.5 usable acres still available. For more information on all the opportunities in Tomball, please call the Tomball Economic Development Corporation at 281-401-4086 or visit their website at tomballtxedc.org .